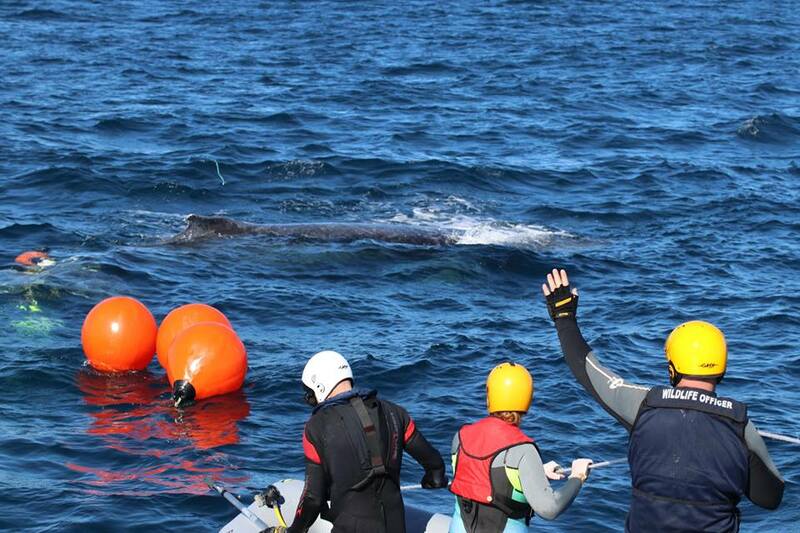 WILDLIFE officers, fisheries staff and sea rescue groups helped rescue a whale entangled in ropes off Two Rocks on Tuesday. According to a Parks and Wildlife WA Facebook post, satellite tags helped the department track the humpback whale last weekend. “It was successfully disentangled on Tuesday by a specialised team at Parks and Wildlife,” the post said. DPAW thanked Two Rocks Volunteer Marine Rescue Group, Whitfords Volunteer Sea Rescue and Department of Fisheries WA for helping. 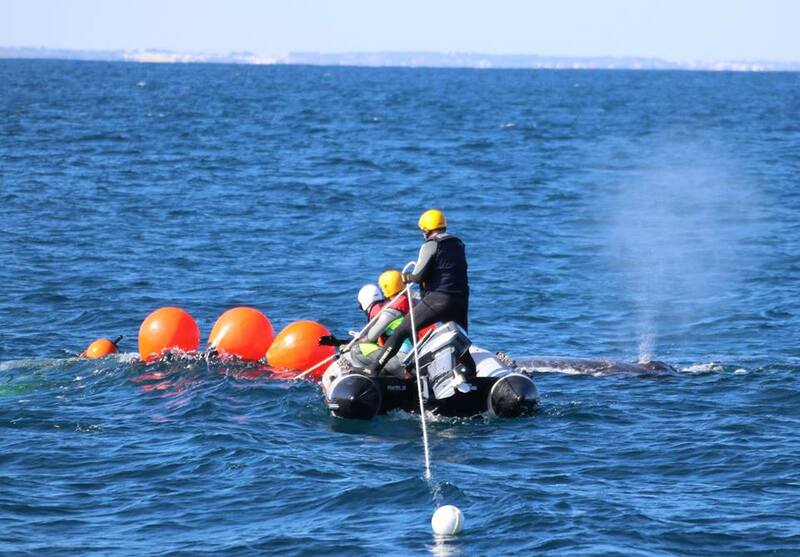 “During this time of year, as whales migrate north to breed and calve, the number of entanglements and stranding incidents may increase,” it said. The Department of Parks and Wildlife received a report of the juvenile whale about five nautical miles off the coast of Two Rocks late on June 16. Two Rocks Volunteer Marine Rescue Group took department staff to the animal, where the decision was made to attach satellite tags to track it because a disentanglement operation was expected to take several hours. But they lost contact with it over the weekend until another sighting was made again near Two Rocks late the following Monday. A team of six department staff launched a rescue operation the next day, assisted by the rescue group, which senior marine operations officer John Edwards described as a “very complex entanglement” that took about six hours. He said they were able to cut the ropes, believed to be rock lobster fishing gear. “It went very well, the team we had on had recently completed refresher training so were right up to speed,” he said. Mr Edwards said they were worried about the whale’s health if they were unable to set it free but was now confident it would join other whales migrating to waters near the Kimberley region.